Overcoming the daily grind | Decor Interior Design Inc. 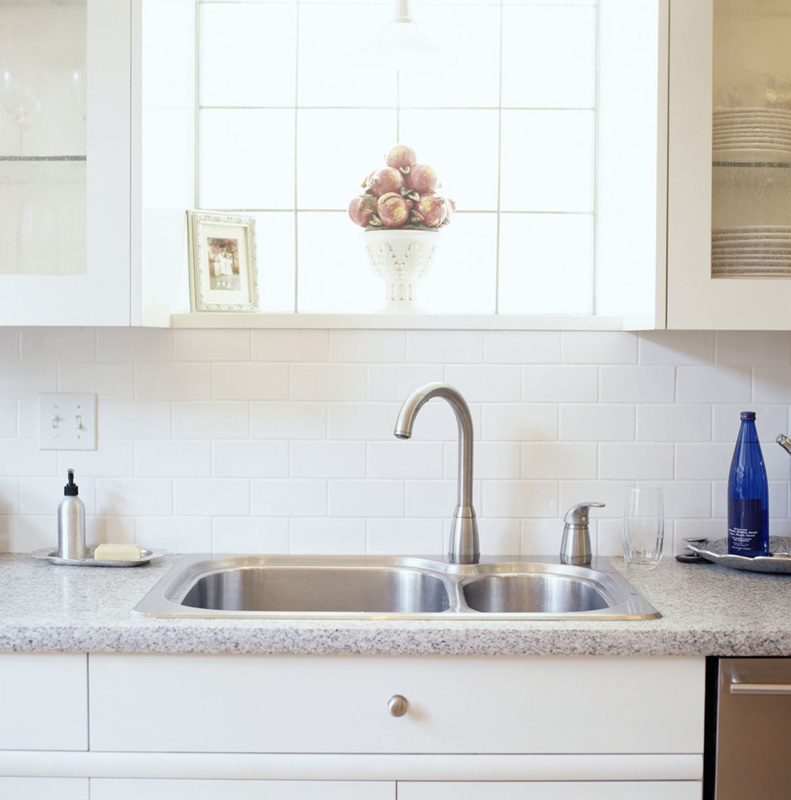 Installing a garbage disposal adds a tremendous benefit to the usefulness of your kitchen sink and creates less worry about what makes it down the drain. Ever think about what goes down your kitchen sink drain? When you consider all the food scraps and grease alone, it’s enough to make you shudder — and worry about clogged pipes somewhere down the road. And what doesn’t make it down the drain, of course, collects in your strainer basket, which can be a messy and unpleasant job to empty out into the trash day after day. These are big reasons why nearly three out of four American homes built since 2000 have a garbage disposal unit beneath the kitchen sink, per the U.S. Census Bureau. And worthy arguments for why you need one, too, if you don’t already have one, say the experts. Installing one of these appliances adds a tremendous benefit to the usefulness of your kitchen sink and creates less worry about what makes it down the drain, said Chuck Khiel, vice president of a home improvement company. “If used properly, a garbage disposal will minimize waste in your trash can. These units are designed to grind and flush the food waste smoothly down the drain when you operate it with plenty of running water,” Khiel said. Using a disposal can be better for the environment, too, said Chris Ambrose, operators manager for B&W Plumbing and Heating Co., Inc., in Indiana. “Food waste passed on by a disposal is processed with other solids at wastewater treatment plants instead of being sent to landfills. This reduces methane emissions of decomposing food,” Ambrose said. Today’s disposers are engineered to handle almost any type of edible waste, including hard food scraps, fats and meats, making kitchen cleanup easier. But not all disposers are built alike, and features will vary depending on the model. “When selecting a unit with a homeowner client, I review products based on the “three H’s” — horsepower, hush and household — which will determine if the device can quietly and effectively handle the volume of compostable trash and offer the best value within a given budget,” Jackson said. Horsepower (hp) is the first crucial criterion to ponder. Units with ½-hp offer basic grinding capabilities but may not be able to tackle the tougher stuff. Instead, the pros recommend a ¾-hp or 1-hp motor. Other desirable amenities include auto-reverse mode, which can solve jamming problems; grinding components made of stainless steel for a longer lifespan; a quick-mount neck that makes installation simpler (appreciated by do-it-yourselfers); an electric cord that prevents the need for hard-wiring the apparatus; and a longer warranty in case something goes wrong. A new garbage disposal ranges in price from around $100 up to $1,000 or more; and professional installation starts at $100 and up, said Jackson. Extra costs to consider before buying include the electricity required to power the unit and the tap water you’ll need to run while operating the disposal. A recent analysis by Consumer Reports cautioned that you may end up using an extra 900 gallons of water a year for this purpose. Additionally, be aware that some municipalities prohibit the use of garbage disposals due to sewer and water limitations or the use and size of a septic system. “When main waste goes from the house into a septic tank, it will cause the solids in the tank to fill quickly, creating the need and cost for pumping the tank more frequently. This is why most jurisdictions in which folks are on septic will not allow, by code, the installation of garbage disposals,” said Khiel, who added that some new models are designed for septic systems. To clean a disposal and make it smell fresh, “grind up ice cubes and citrus fruit rinds in it while running tap water,” said Ambrose, who advises using the unit regularly to prevent mechanical problems.